Experience the splendor of Bangkok from a premiere location along Rajadamri Road, near the city&apos;s elite business institutions, superb restaurants and fine boutiques. Suvarnabhumi International Airport is an easy 45 minutes away. Enjoy the art of exquisite dining with vintage wines from a magnificent wine cellar. Find sanctuary and personalized indulgences at the exclusive ELEMIS Spa, and refresh in a magnificently inviting outdoor pool and well-appointed Exercise Room. Our 229 guest rooms, including 51 suites, 4-Bedroom Residence and The Owner’s Penthouse, are beautifully appointed with plush furnishings and refined amenities. Each offers an urban retreat with grand windows and unobstructed views. 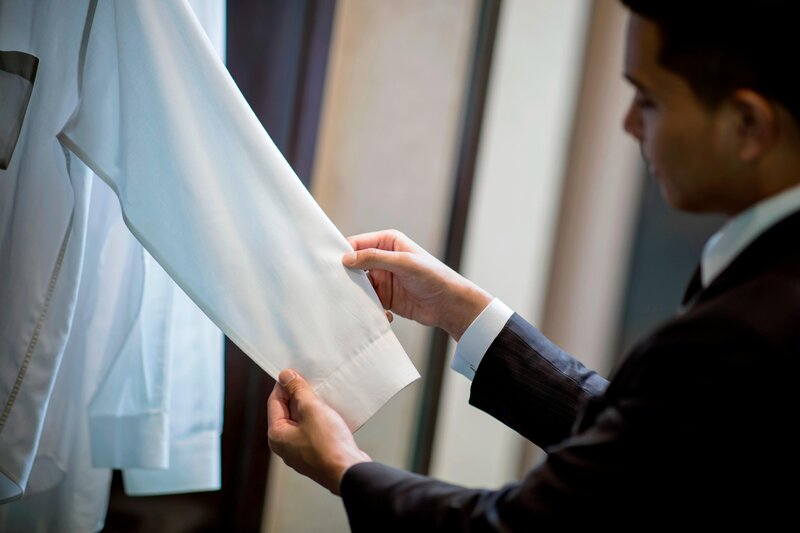 Every experience is enhanced with St. Regis Butler service. Prestigiously located, The St. Regis Bangkok offers unprecedented excellence in standards of hospitality, innovation and refinement, situated in Bangkok’s key commercial corridor and prime shopping precinct, Rajadamri Road, with direct BTS skytrain access via skybridge. St. Regis Butler Service ensures that unique preferences are understood and addressed flawlessly at our St. Regis hotels around the world. This one-of-a-kind two-story Penthouse offers a three-bedroom residence which redefines the art of urban living in Bangkok; Asian décor and contemporary touches create a living space that exudes a timeless allure for the discerning traveler. From the pinnacle of The St. Regis Bangkok, 44 floors above street level, floor-to-ceiling windows throughout the residence reveal unparalleled panoramic views of the city. In each of three bedrooms, a signature St. Regis king-sized bed is layered in 300-thread-count linens, a down comforter, plush pillows, and a sumptuous throw blanket. 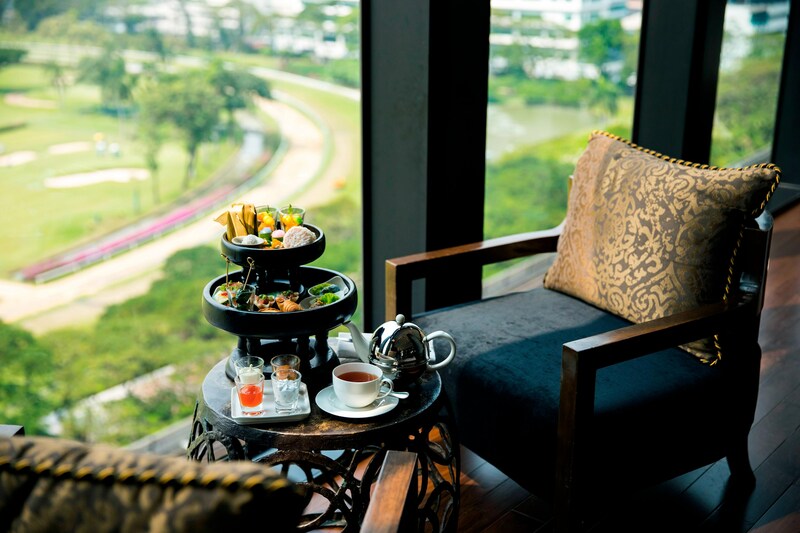 On the balcony, a private 7-meter pool overlooks the verdant greenery of the Royal Bangkok Sports Club. Overlooking Bangkok’s famous city skyline, a private dining room is ideal for parties of up to 16 guests. Nearby is a fully equipped modern kitchen, stocked up with the freshest produce and choicest ingredients from the residence market list. 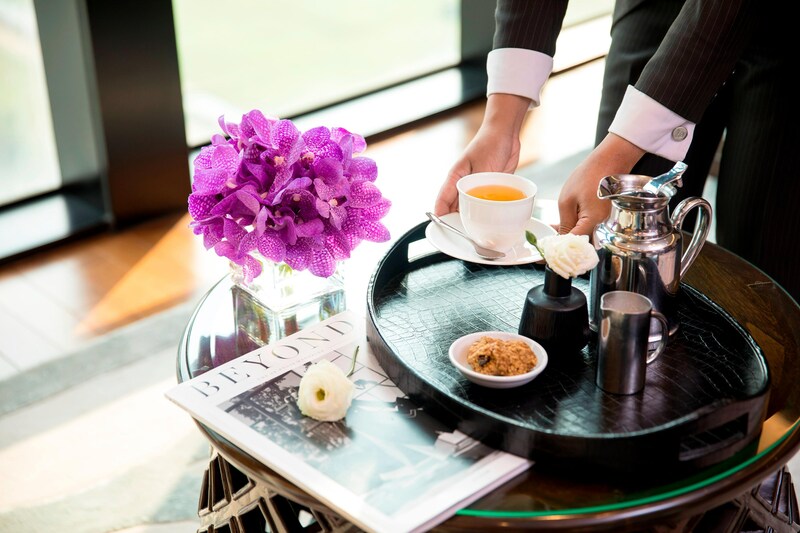 Bespoke 24-hour St. Regis Butler service is redefined, with two personal butlers ready to cater to your every need. From packing and unpacking to serving in-residence breakfast to making arrangements for a fully-catered dinner party, no request is too large or too small. 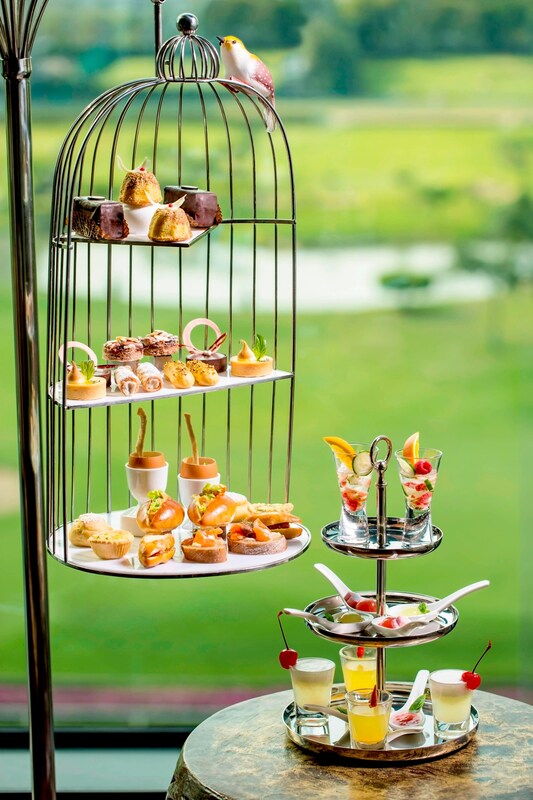 A century-old tradition, The St. Regis Afternoon Tea is a bespoke experience, with two options to choose from; Western Afternoon tea served in a picturesque birdcage and Thai Afternoon Tea which presents a sensation of elegant local flavors, overlooking the verdant greenery of the Royal Bangkok Sports Club. 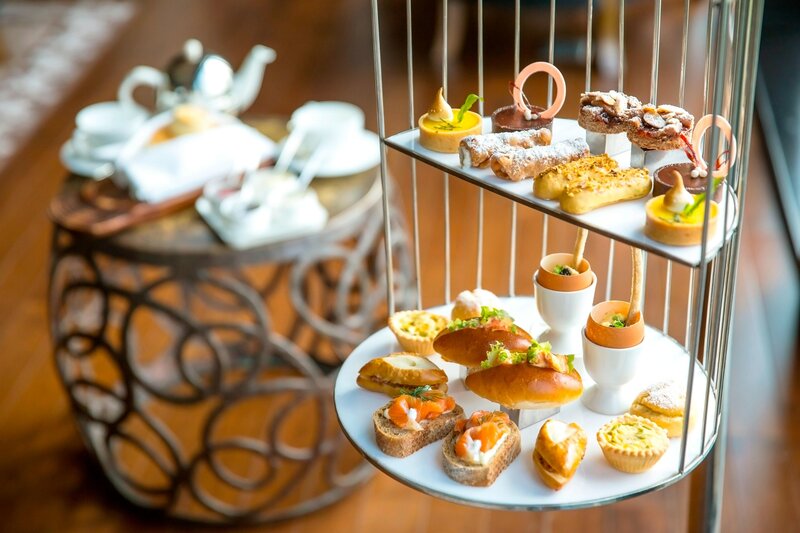 The St. Regis Bangkok presents an alternative luxury twist on their timeless tradition of afternoon tea at The St. Regis Bar, together with a brand new menu, set against the backdrop of the stunning view of the verdant Royal Bangkok Sports Club and cityscape beyond.